Jose Mourinho has predicted a stunning World Cup final cliffhanger between Cristiano Ronaldo’s Portugal and an Argentina team led by his great rival Lionel Messi. 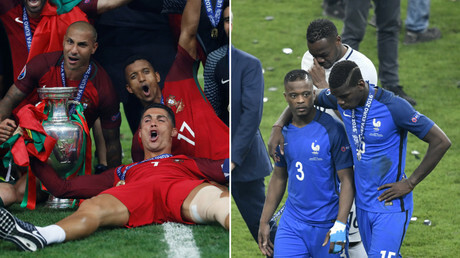 The Portuguese manager believes the World Cup final in Moscow on July 15 will be played out between the two giants of the current generation, and will come down to Ronaldo and Messi taking the deciding penalties in a shootout to win football’s biggest prize. RT has exclusively revealed the Special One’s predictions for the whole of the tournament – from the group stage winners right through the knockout stages – as part of our exclusive Match Mourinho playoff competition. We can now tell you exactly how the managerial great sees the business end of things panning out in Russia this summer. Having forecast a semi-final match for Portugal against the Brazilians, Mourinho thinks Ronaldo and Co. will knock out the five-time winners to book their very first World Cup final spot. The Manchester United boss believes the Argentinians will seal their place in the final by overcoming reigning champions Germany in their semi-final. Coming to the final itself, the two-time Champions League winner clearly found it a tough one to call. He couldn’t bring himself to select an outcome in the battle between Messi and Ronaldo – two players who have traded record after record in their long-running rivalry as the world’s finest players. “It’s not just normal… I can’t do it! 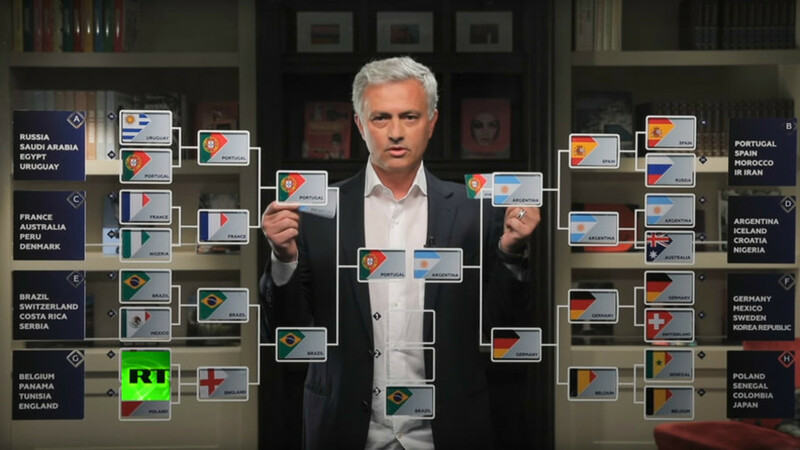 I can’t do it!” Mourinho said as he agonized over who to pick as the World Cup winners. He instead left the tantalizing prospect of a cliffhanger ending, asking people to make up their own minds about how it would finish. “Extra-time, penalties, 11 players, they take a penalty… there is only one more penalty, and that last penalty, one takes Messi, another one takes Ronaldo… and I leave to your imagination,” the Portuguese manager said. In a subplot to the main action in the final, the Portuguese manager tipped Brazil to get a degree of revenge over Germany for their humiliation four years ago by backing the Samba Boys to beat Die Mannschaft in the third-place playoff. If you think the Special One’s selections are spot on or he’s missed the target – let us know. You can comment at the bottom of the page or on our Facebook page. Also look out for our #MatchMourinho hashtag on Twitter to follow the conversation around the World Cup predictions party. But if things do play out the way the Special One says, we’ll be in for a fitting finale to this summer’s festival of football.